Overnight steel cut oats have become a crutch in our morning routine. Not even a taco comes together as easily as these. I can whip them up in the evening and have a filling breakfast ready for the 9yo ready before my body even realizes that it needs caffeine. They also make a perfect, packable (already in a jar) breakfast for taking to the office. Our favorite add-ins: almond milk, brown sugar or honey, pear butter, fresh fruit, cinnamon. Awesome idea! Totally going to try this! Good thing my roommate is a jar hoarder and we have plenty of extras floating around! I love overnight oats! I am so excited to hear that you can make them with steel-cut oats, too — will try soon. 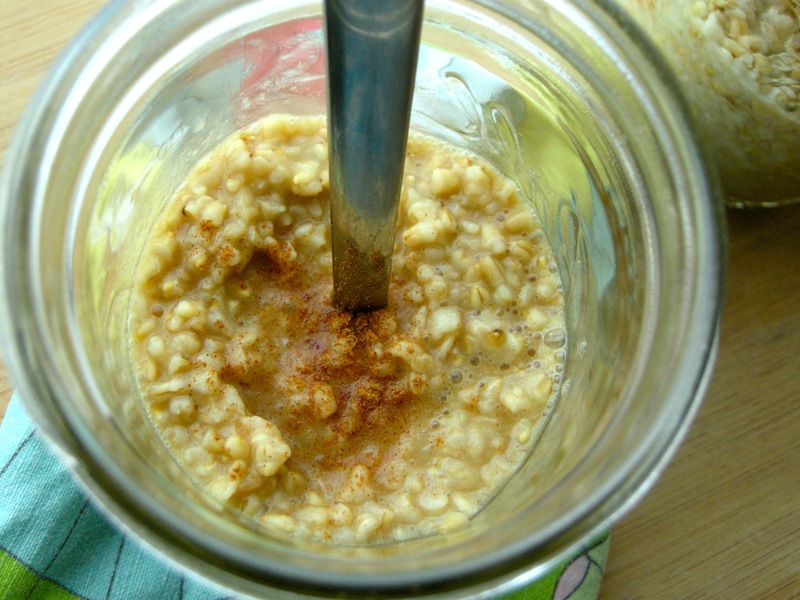 we’re not fans usually but the texture in the steel cut oats is so much better suited for us.